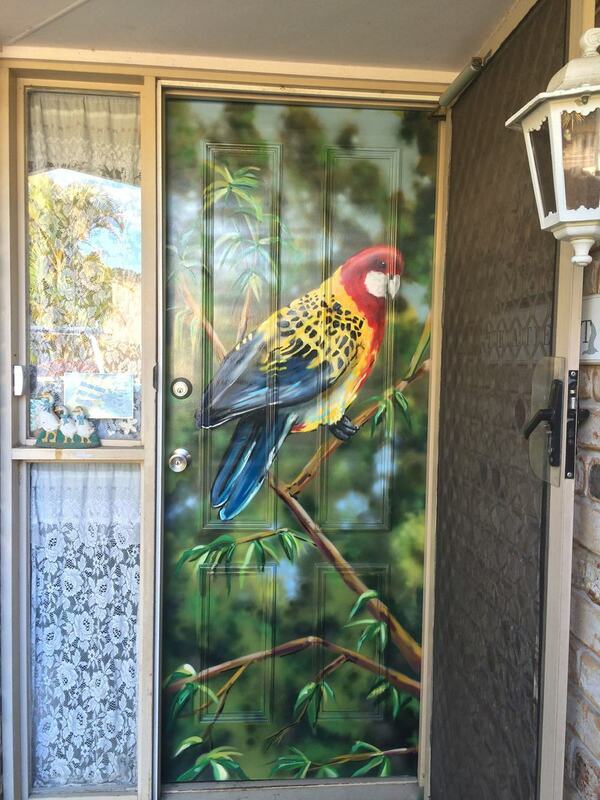 Its its not every day that we get a request to paint someone’s front door, so when we did, we were taken by surprise. It makes complete sense when you think about it. Who wouldn’t want an oversized Australian native bird greeting them each day? This aerosol art piece didn’t take long for Sauce to paint, but it was a challenge to make sure the design reflected the client’s needs and fitted the available painting area. When painting animals, especially well known and loved animals it’s a challenge to ensure the details such as colour and size are correct. If your thinking ‘this is exactly what I need on my front door. Why didn’t I think of that?’ then contact us to arrange a quote. If you’re organised, we might even be able to fit it in before Christmas.